When Inside GNSS first reported on theformal announcement to the start of Galileo Initial Services last December,there was plenty of excitement about the program’s potential, and with goodreason. The European Commission (EC), owner ofEurope’s GNSS system, Galileo, made the formal announcement at that time aboutthe start of Galileo Initial Services, the first step towards full operationalcapability. With further launches continuing to build the satelliteconstellation, gradual improvements to the system performance and availabilityworldwide are expected. With that initial announcement, came wordthat Galileo was now providing three service types, the availability of whichwill continue to be improved — Open Service (OS), Search and Rescue (SAR), andGalileo’s Public Regulated Service (PRS). Recently, the Galileo SAR was officiallylaunched, signaling yet another milestone brought about by the Galileosatellite constellation. According to the European Global Navigation SatelliteSystems Agency (GSA), among the many benefits SAR brings is a faster responsetime when every minute matters. 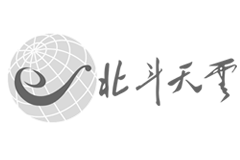 Launched as part of the Galileo InitialServices, Galileo is the first GNSS constellation offering global SARcapability. Available at sea, in the mountains, across the desert and in theair inside the Galileo/SAR Service Coverage area, this essential Galileoservice helps operators respond to a distress signal faster and more efficiently,the GSA states. Once fully integrated into theCOSPAS-SARSAT system, the Search And Rescue Transponder on Galileo satelliteswill pick up signals emitted from distress beacons in the 406 to 406.1 MHz bandand broadcast this information to dedicated ground stations (MEOLUTs) in the L6band. Once these signals are detected and the beacons located by the MEOLUTs,COSPAS-SARSAT Mission Control Centres (MCC) will receive the beacon locationinformation and the data to the relevant rescue centers worldwide. The Galileo SAR service is Europe’scontribution to the upgrade of COSPAS-SARSAT, an international satellite-basedSAR distress alert detection and information distribution system. Establishedin 1979 by Canada, France, the United States and the former Soviet Union, it isused to detect and locate emergency beacons activated by aircraft, ships andindividuals. 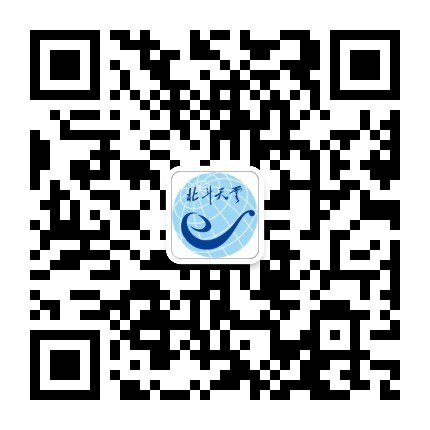 It is designed to provide accurate, reliable and timely alert and locationdata to help SAR operators find and help people in distress. 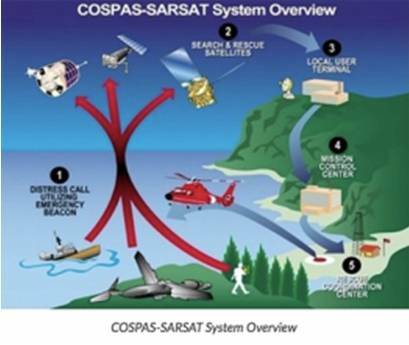 COSPAS-SARSAT operates through a satellitesystem maintained and coordinated by its participants. This system detectsdistress alert transmissions from radio beacons that comply with COSPAS-SARSATspecifications and standards, determines their location, and provides theinformation to SAR teams. Currently, 43 countries and organizationsparticipate in the operation and management of the COSPAS-SARSAT system.COSPAS-SARSAT also cooperates with various international organizationsincluding the International Civil Aviation Organization (ICAO), theInternational Maritime Organization (IMO) and the InternationalTelecommunication Union (ITU). With these types of services in place, theGalileo SAR service is saving more lives, the ESA reports.